The new RIM Playbook is a valuable addition for Legal or Marketing project groups as it allows them to exploit highly secure RIM Blackberry servers that conforms to international corporate IT standards. The RIM Playbook tablet allows you to siphon data from your BlackBerry handset via Bluetooth tethering to display via the PlayBook. RIM’s Playbook OS comes from recently acquired QNX and supports OpenGL, POSIX and HTML5 web standards and RIM’s new WebWorks SDK. Join us to see how RIM’s Playbook helps your Legal and Marketing project Groups. Scenario Analysis and Predictive Analytics offer a low risk, high value means to help eDiscovery project teams deliver less expensive high value results faster compared to usual eDiscovery methods. Whether your eDiscovery teams employ Predictive Analytics or not, Scenario Analysis will help prioritize the sequence of eDiscovery processes and focus limited resources. Indeed if done properly faster, richer E-Discovery results may allow counsel to shape the legal action or negotiate from a position of knowledge before the eDiscovery teams commence their project. Scenario analysis is very straight forward and may be done very quickly in most eDiscovery projects if practitioners are guided by the core concepts of scenarios. A scenario is a cluster of stories or content related to the legal action that requires E-Discovery. Case files may be created before an action is resolved or even before eDiscovery commences. Counsel can generally describe two or three high probability outcomes as an action commences. Go to our @eDiscovery_ Value Brief for a view of combining Predictive Analytics and Scenario Analysis. Join us to see how to it is possible to use Scenario Analysis and ‘proxy content’ to accelerate your E-Discovery results. Advertisers, executives and now eDiscovery lawyers attracted to the promise that predictive analytics will help them influence the future would learn much more by studying the link between Chanel No5 and predictive analytics tools. Let’s start with Predictive Analytics and get to Chanel later. Predictive analytics is an outcome delivered by the application of tools and techniques that provide insight today to what might happen tomorrow, much like the gypsy in a tent. The attraction of predictive analytics story to executives is quite high as it promises to ease their struggle to align future products to constantly changing customer needs. Indeed Predictive Analytics may also be seen as a relief to leaders of E-Discovery teams as they search for numbers and stories embedded in huge data pools to help them prevail in their stewardship of typically high cost, low value eDiscovery projects. Let’s now look into the core of Predictive Analytics — numbers, stories and scenarios to understand its value. Pierre Wack, a Shell employee and Sufi, raised the practice of Scenario Analysis honed at Rand for the US military to a high commerical art. Pierre Wack future-proofed Shell and used Scenario Analysis to help lift Shell from a third tier oil company to a global energy giant. As a fully recovered accountant I learned to use stories to magnify the value of analytics as I delivered services with Microsoft, Cognos, Business Objects or other technologies to global corporations. Tell a story twice and it becomes a Process. Tell a story three times and Software is made. Tell a story four times and you create a Brand value. Tell a story five times and accountants craft KPI measures. With a little practice, almost anyone can point a Perspective Lens to a corporate value chain and receive some insight to what is happening today and what is likely to happen in the next 6 to 12 months. 1. Identify the Personae across a corporation’s global value chain and use Predictive Analytics to determine how their behaviours may change over the next 6 to 12 months. 2. Target and understand the relationships of key stories embedded in the corporation’s financial forecast. 3. Modify some original stories according to anticipated changes in Persona behaviours or add new stories to reflect unforeseen events such as Barrack Obama being elected as the next US President. 4. Label the first story cluster Scenario1 and the new cluster of stories Scenario2. 5. Use measures to determine which Scenario is active and pre-plan reponses accordingly. Future-proofing is a concept that uses scenarios to avoid disaster or exploit opportunities in the future. Consider how you would manage and align the business if the world unfolds according to the stories in Scenario1 or what might be done if the world unfolds according the Scenario2 Predictive Analytics, Perspective Lenses, Personae and Scenario analysis help us deal with the future now. All storytellers intuitively understand that numbers and stories are complementary and as a storyteller I must point out that at one time stories and numbers were one and indeed even today a number evokes many stories–the numbers 7 or 4 in the Chinese culture or even the number 5 in our own. In the Yoruba tradition of Nigeria the deity of love, sexuality and finance is OSHUN and her number is 5. Coco Chanel must have known about the mythical connection or was extremely lucky to have named her iconic scent No5 though either way the connection of stories and numbers is important. Stories are the core of what we are and what we do, and for those with an unclear understanding of the expertise offered by a storyteller, allow me offer this view—Storytellers perceive by measuring differently and have the ability to magnify any Predictive Analytics effort. Join us to explore the application of Predictive Analytics to Advertising or E-Discovery. Twitter-type Resonance advertising tools provide great value to stressed out marketers and advertisers who look to reachout to mobile customers as Social Media, data overload, SEO spam overwhelm traditional advertising and media business models. 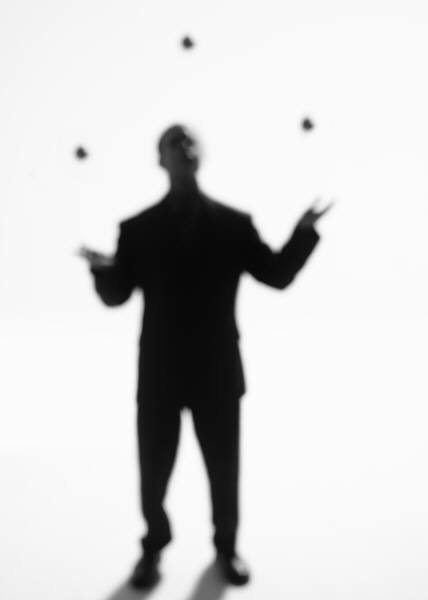 The simplest way to understand Resonance is to picture someone juggling one or more tennis balls. They juggle as long as the story or content represented by the tennis ball is meaningful to them and when their focus or perspective changes they drop the balls they don’t need and pick up others. 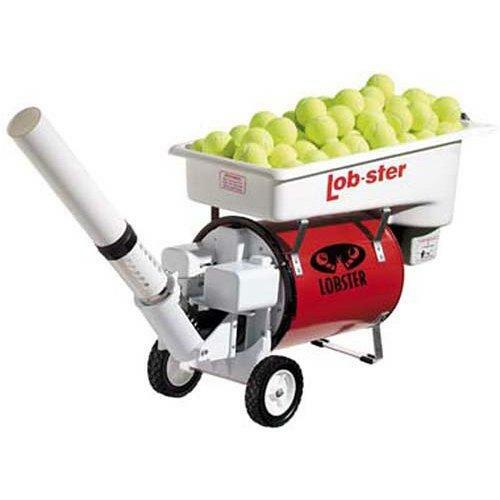 People and tennis balls (stories or content) must resonante with each other. 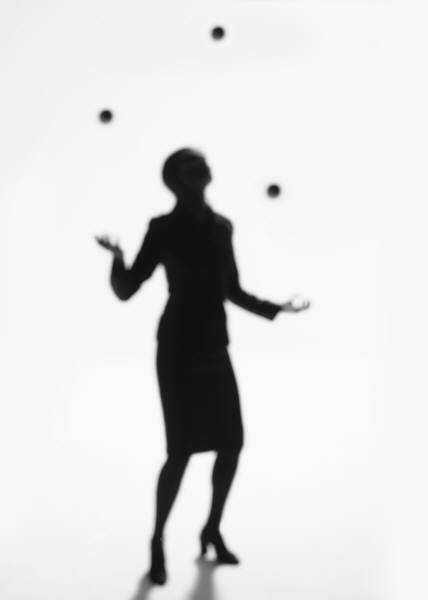 Since juggling a lot of tennis balls simultaneously may be stressful, busy people rely on people they trust to provide guidance and suggestions as to the tennis balls that may help them in their day and ask someone to toss them a tennis ball that they need and when they are done they drop it. SEO may have conditioned marketers and advertisers to serve as much content as possible out via internet web sites, blogs and social media platforms, after all the price was right, pushing content was virtually free. In late 2008 over half of all searches started in social media platforms rather than search engines as people began to trust other people rather than the search engine spiders and the advertisers that fed them. Twitter’s use of Resonance in a mobile software platform that includes elements of voting and self-forming groups offers the most unique value to advertisers and marketers. Twitter makes It is easy to understand which stories or content resonate with people, groups across different geographies and spam is inconsequential. When the SEO crews that made millions with the Google business model encounters the social media platforms that were islands they incorporated various techniques to get inside, something that the search engine spiders could not do. The most common technique was ‘The Follower‘ where spammers set up shop and formed groups to overwhelm natural groups and the content they generate inside Facebook, LinkedIn and other social media spaces. Spammers use every means and technology possible to lob in as many stories as possible, Twitter however has one important difference, if people don’t like stories or content they just drop the ball and if they don’t repeat or Re-Tweet then the content dies unlike a blog or space where spam sits around forever and polutes the perspectives and trust of natural group members. SpeedSynch Resonance maps offer tools and techniques to measure the alignment of People, Content, Products or Processes and predict changes in Resonance so that advertisers or marketers can adjust their messages and budget allociations accordingly. This is the Resonance Map of a mobile marketing entrpreneur and it is possible to see what is top of mind for him and the people that rely on his content via his blog and Twitter stream. Join us to explore SpeedSynch.com Resonance Maps and the value of Twitter-type Resonance tools in mobile advertising and marketing models. “Partners are like horses that wildly gallop as a group to what looks interesting. Me, I think very briefly about why I would want expend the energy to go there…” — Advice offered me at PwC from the President’s Octogenarian advisor. In its heyday Nortel represented a significant value element of the entire Canadian economy and was very good at risk reduction and contracting forward with suppliers to avoid the component part shortages that plagued the telecommunications industry–until their competitors started compressing the time to introduce new products. Later competitors would speed up new product introductions even more and Nortel’s inventory ballooned. The risk reduction strategy of contracting forward may have exposed Nortel to huge self-inflicted risk and eventually contributed to its collapse as current risk measures didn’t adequately reflect the future risk associated with long term supplier contracts. Nortel was one of the horses that ran to the green meadow without adquate scenario analysis that reflected their reality. Accurate perception of risk and opportunity is important to most businesses and critical during this financial crisis. I highly recommend Pierre Wack’s “Shooting the Rapids” for two reasons; the fascile conversational way in which Pierre Wack describes scenario analysis as he helps us conclude that it is a high value re-perception tool and the hidden reason–his inference that there is room for innovation in perception measures within scenario analysis. Wack starts by gently offering us a brutaly brief though elegant synopsis of the prior state of forecasting and scenario analysis — “Things could go this way — or that”. From “Things could go this way — or that”, a simple truth that is still evident today, Wack gently reveals the simple and unique innovation that raised scenario analysis to a high commercial art; Wack helped executives and managers use scenario analysis to re-perceive their complex daily reality. The re-perception required “rooting” where executives acknowledged the current state of their world and contributed stories from which two or more future worlds would be constructed. Scenarios, story clusters or future worlds help executives anticipate and prepare for future events and align people, content, assets and processes very quickly once they understood which worldview would manifest. “Shooting the Rapids” offers a unique opportunity In the age of Social Media platforms like Twitter and Linkedin to executives charged with navigating the current financial crisis by exploiting the Social Media platforms as perception, story and scenario generation platforms. In my experience Social Media stories are critical to understanding the current state of any busiiness, and scenario resonance is crtical to understand how things evolve and when things change as while executives typically know where to go in the market, on arrival they sometimes find themselves quite far from from their original destination. Wack’s “Shooting the Rapids” will inspire and help you re-percieve where you are and help you know where to go . Shell reaped huge rewards with scenario analysis and so can you. Join us to see how SpeedSynch Resonance Maps facilitate scenario analysis. Predictive analytics offers the promise of predicting the future to business executives that direct people and resources to deliver products to markets globally across Web and Social Media channels though in our experience the future is difficult to predict until it happens. Many simple and proven tools are available to help businesses predict and prepare for what may happen in the future like scenario analysis where clusters of stories are combined to represent possible future states from different perspectives of the business, its customers or other relationships that span extended business value chains. In the course of adapting to global competitive pressure business has adopted global supply chains as means to survive and thrive. The idea behind extended supply or value chains was that all non-core, high risk or high cost processes would be sourced externally to ensure profitably in turbulent markets. Risk reduction and the quest for higher profits drove global supply chain and outsourcing trends. The markets or rather customers seem to have their own ideas and now have access to almost an unlimited array of products globally. Businesses have started to see that customer demand may change faster than it takes to deliver a product shipped internationally or even faster than a heavily managed software project. SpeedSynch scenarios are used to align products or content to customers via a scenario or a cluster of stories that represent a possible future. Scenarios were brought into the business limelight by Pierre Wack lifted the creation of Scenarios to a high commercial art and honed his skill at SHELL OIL and SHELL has fantastic resources describing their scenarios and how they are created. Success in business is most often confused with precision, formulas and plans though it appears that after you plan life, life just happens. When a business plan goes in one direction and their customers go in another we say that the business value didn’t ‘resonate’ with the needs of their customers or simply the business was not successful in serving their market. Branding and advertising helps increase the resonance of our content and products with customers and reduce the business exposure to market risk. Business executives are also focused on finding ways to ‘predict’ the future to help them focus on opportunities and direct resources in search of profit. Internet marketing changed very little since marketers discovered how to successfully market on the internet, first with Yahoo about 10 years ago and afterwards with Google ads and Search Engine Optimization or SEO. The intersection of Old Media and Web2.0 has created a New Media, that’s for sure, but what else is happening? There is a growing interest in TransMedia or Cross Media, the ability to engage people by taking a story and delivering it in different places, spaces and times appears to be a faster, simpler and more flexible future for creative marketers and their customers who want to break out of the crowd. TransMedia helps people create their own engaging story and Resonance is about understanding the relationships that create market value. Sylvester Stallone shows TransMedia types what to do as he subtly elbows out Leonardo DiCaprio and Angela Jolie out of the way by driving his movie Expendables past Inception and Salt. The SpeedSynch Resonance Map below shows the Resonance Map created by Sylvester Stallone. In watching Stallone go to work on his competitors in a TransMedia or Cross Media format where the marketing story is spread across multiple media channels globally it is easy to miss the real value behind the success—customer Resonance. People who go to movies, just like any potential customer have an affinity for a brand and a product, and Stallone’s marketing push with Twitter focused attention to Expendables and away from Inception. Applying Resonance Marketing to product sales is a simple process. 1. Craft marketing stories to appeal to multiple customer perspectives or Persona in multiple languages, cultures and markets. 2. Focus on relationships between People, Process (work) and Content. 3. Facilitate and accelerate learning to boost engagement and sales. Note: A Persona mask represents customer perspectives or behaviours and may be worn or removed as needed. We build Persona masks by mapping Customer ‘Resonance’ by understanding their perspectives from the content they prefer, post or other information provided. Persona masks illuminate stories, processes and probabilities so that we can serve anyone behind a Persona masks regardless of the market segment to which they have been assigned. SpeedsSynch Resonance Maps help predict future Persona behaviours important for Prediction Marketing. Traditional marketing models have a difficult time adapting to constantly chaning customer behaviours. Understanding and aligning the Resonance of Products, Content and Processes allows the business to see when customer needs or behaviours change according to their Resonance. The art of prediction, highly valued by marketers, accountants and bookmakers starts by understanding what has happened in the past in order to determine what may happen again in the future. Typically market researchers take past behaviours and adjust for anticipated changes in the future and create an estimate or guess of what might happen where they create a story whether it is based on a ‘feeling’ or supported by hundreds of spreadsheets as what happens tomorrow is best seen a few days afterwards. Obvious risks of what may happen in the future are arbitraged as close to zero by using different techniques such as buying insurance or using a portfolio investment approach. We show our clients how to apply scenarios and Resonance to quickly identify change, opportunities and reduce risk in their product innovation, manufacturing and sales cycles. We craft Persona Masks to predict future customers behaviours or how customers will Resonat. A Persona mask is ‘crafted’ by linking stories and numbers to customer perspectives to infer possible future behaviours and since we can never know exactly how behaviours will occur in the future we use Scenarios to determine a range of behaviours and get a sense of the potential range of customer behaviours that may occur in the future. If this seems a little strange consider the profession of Finance and why accountants forecast. A financial forecast directs business activity and sets measures of success. Stories are behind the numbers carefully constructed by accountants in plans of one, two or more years. Accountants convert stories to numbers and place them in a structure called a chart of accounts and then manipulate numbers for the rest of the year in a way that separates them from the stories that were at their core. Indeed accountants ‘map’ out the future of the business with numbers rather than stories. Our practice is to blend stories, numbers, maps and storyboards to avoid the common trap that marketers and accounts fall into as they manipulate numbers and stories independently of each other. This ‘split’ causes stories and numbers that started at the same place to get out of sync with each other. Our Resonance maps align Products to Customers by employing content. Stories and numbers must Resonate with customers or the business gets out of harmony across its value chain which typically results in something breaking, relationships or profits. ROI Re-Capture is another benefit of using Resonance to understand where to find the expertise, stories or content value useful for internal projects or external marketing campaigns. No need to re-invent the wheel, just find the value or content hidden along your global value chain according to what is needed for success. Currently we see the manufacturing and service support of key products and processes moving closer to customers to minimize the risk of extended supply chanins that include customers behaviours changing faster than products or projects can be delivered and risk associated with privacy or legal E-Discovery issues. Contact us for more information about Predictive Analytics, Resonance and the tools needed to deliver high value to Customers that change quickly.